Shelly has overseen our front office since joining our team in November 2011. She possesses a wealth of experience and enjoys working with our patients. Shelly is married, and has two daughters and one grandson. When she isn’t working, she and her family love hiking in Colorado and going to the beach to relax. 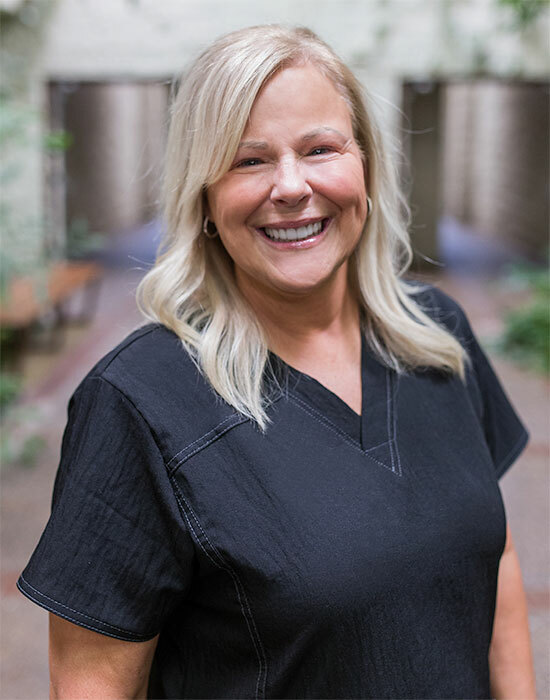 Barbara joined the Sunshine Dental team in September 1988 and in addition to cleaning teeth, she particularly enjoys helping patients improve their home care. She also loves visiting with and getting to know her patients. 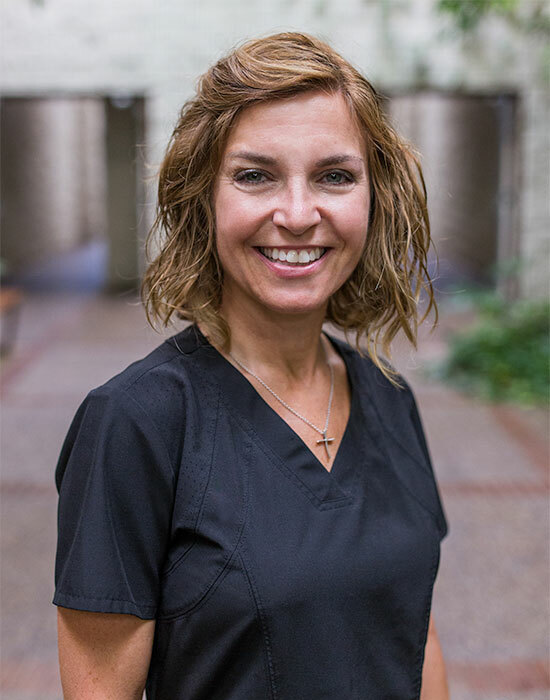 Barbara earned her certification as a hygienist from North Central Technical College in Wasaw, Wisconsin in 1998. She and her husband have two children and a dog. In her spare time, she loves vacationing at the beach or in the mountains. She also enjoys biking and boating, as well as spending time with her family. Megan graduated from Ozarks Technical Community College in Springfield in 2004 with a certification in dental assisting, and she joined our team the same year. She has served as a clinical assistant and office administrator in our office. She enjoys our patients, as well as the people she works with. Megan is married to her high school sweetheart, and they have two active sons. She loves an adventure, whether it’s a trip to the beach or a trail to hike, and she is ready to embark upon one at a moment’s notice. She enjoys anything that her family loves to do, from outdoor activities to sports. Their sons keep them busy and ensure there are no dull moments. 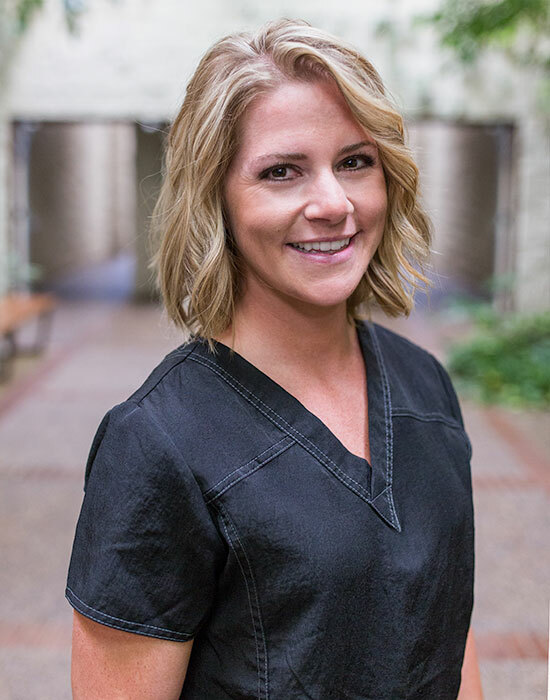 Alex came to our practice in 2011, and she assists Dr. Nunn with dental treatments, as well as receptionist and administrative duties, scheduling and treatment planning. She particularly enjoys cosmetic dentistry. She earned her bachelor’s degree in nursing from Texas Technical University in Lubbock in 1993. She also has expanded functions dental assisting certificates (restorative I & II expanded functions and dental morphology certification expanded functions) from Ozarks Technical Community College/Missouri State University in 2001; and a prosthetics expanded functions certificate that she completed in 2006. Alex and her husband have five children: his three, and her two. They also have three granddaughters that keep them busy. Her favorite pastime is relaxing with family on the beach, or hanging out in Eureka Springs, Arkansas with her husband. Holley has assisted Dr. Nunn in a variety of treatment procedures since 2008. She has certificates in prosthetics expanded functions and hybrid-restorative expanded functions that she earned from Ozarks Technical Community College in Springfield in 2007 and 2012, respectively. Holley and her husband have five children. 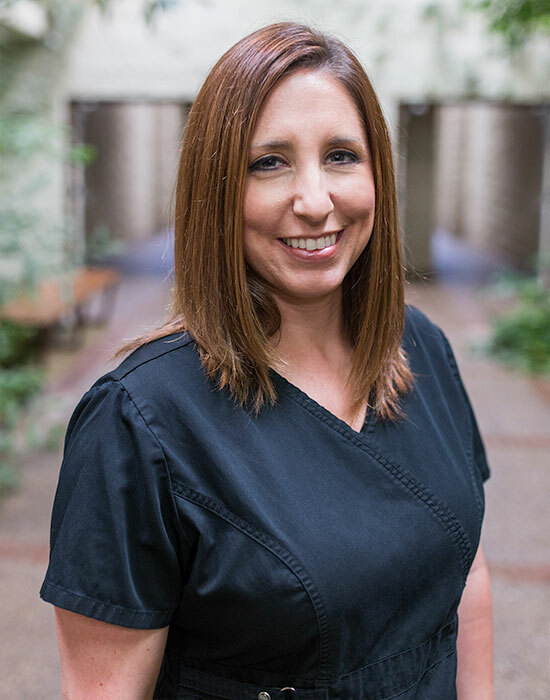 Nicole earned her associate’s degree in dental hygiene from Missouri Southern State University in Joplin in 2001 and joined the Sunshine Dental Associates team that December. In addition to keeping patients’ teeth and gums clean and healthy, Nicole also offers great advice on oral hygiene care at home to keep mouths healthy between appointments. Nicole and her husband have four children and a dog named Bruno.